If your tooth was knocked out (sport/work injury), hold the tooth in your cheek if possible, or place the tooth in a small cup of UHT milk. Make an appointment with us within 30 minutes of the incident. The sooner you see us, the more likely we can keep it! Avoid licking the broken tooth with your tongue as it will cause tongue ulceration and will be painful. Try not to eat on the side of the broken tooth as it can weaken the tooth and cause further decay. It is sad and unfortunate that most of us have unpleasant dental experience at some points in the past, which negatively affect our willingness to seek help when there is a problem. And of course this can cost us more not only financially but also psychologically when we are so embarrassed that we have to hide our teeth when smiling. 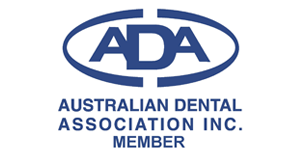 Our dentists are caring and understanding when it comes to dental anxiety. They focus on gentle and preventative dental care so that you can experience less dental emergency and you don’t have to be in pain when you come and see us. Contact us today to have a pleasant dental experience! It is important to get the child in from an early age (3-5 years) so that they can be comfortable with the dental environment. We will make their first visit fun and rewarding for you and your child so they can have the best start in life with good teeth!